The President of Moran & Associates, Kelley M. Moran has over 30 years experience in public affairs and political consulting. From Washington, D.C. to Sacramento, California, Mr. Moran has worked at the top levels of government, non-profit organizations and business. He has worked with and consulted on behalf of five current United States Senators and his firm has been involved in hundreds of successful political campaigns. 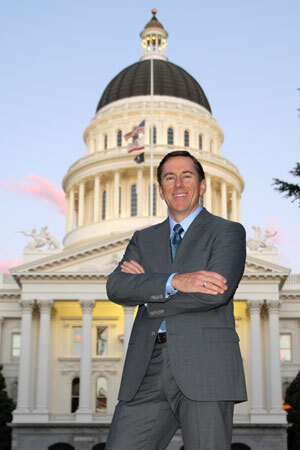 With a strong background in non-profit organizations, Mr. Moran has directed the political operations for California's largest law enforcement organizations. In the wake of 9-11, he was asked to help coordinate strategic homeland security training for public safety officers throughout California. Mr. Moran has been a sought after consultant for businesses. His firms work has ranged from work assisting minority owned businesses in developing marketing programs to capture industry market share to work with Fortune 500 Companies. He has been a frequent guest on television and radio, and his comments have been featured in most major newspapers. Mr. Moran has received a number of awards for his film, video, direct mail and internet work. Kelley Moran was pressed into service at an early age going door to door for his Dad's School Board campaigns. In 1976, Kim Moran, (Kelley's Mom) ran for Congress in Michigan. Kelley worked full time in her campaign and loved the excitement and challenges of politics. Two years later at the ripe old age of 18, he got his first paid job in a political campaign. Mr. Moran is a graduate of the University of Michigan and is a member of the American Association of Political Consultants. His passions include his family and community.